'Bloody Mary' an on Edge Studios spin on the classic Magic 8 Ball Oracle for mobile platforms. Stand in front of a mirror in a darkened room with a lit candle and say "I believe in Mary Worth" three times. If Mary's ghostly image appears you could end up being trapped in the mirror with her for eternity. Concentrate on a question and touch the mirror. A positive response from Mary lights a candle, a negative response dies one out. 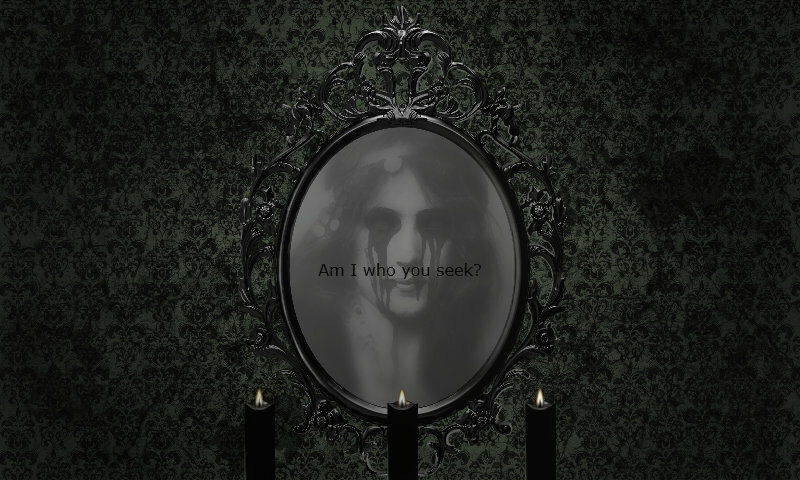 Touch the mirror with three candles lit to summon Mary... if you dare!